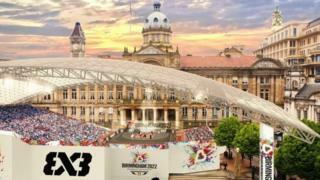 He said: "Birmingham is the second city and find it a travesty that it doesn't have its own velodrome." David Viner, trustee of Halesowen Cycling Club, who is behind the petition, said: "We are campaigning for a multi-sports, 1,000-seater velodrome that could be used by everyone in the region and would only cost around £20m. "If we are serious about getting people fit and active in the region, this would be a great step forward, not only for the Games but for everyone." It is 12 months to the day since a handover ceremony saw Birmingham pick up duties from 2018 host, Australia's Gold Coast.